Remove the steering rack retaining bolts?€‰(1) and discard. Disconnect the exhaust isolators?€‰(2) from the front suspension frame. Remove the rear transmission mount bracket to rear mount through bolt?€‰(1). Remove the upper frame suspension retaining bolts?€‰(1). 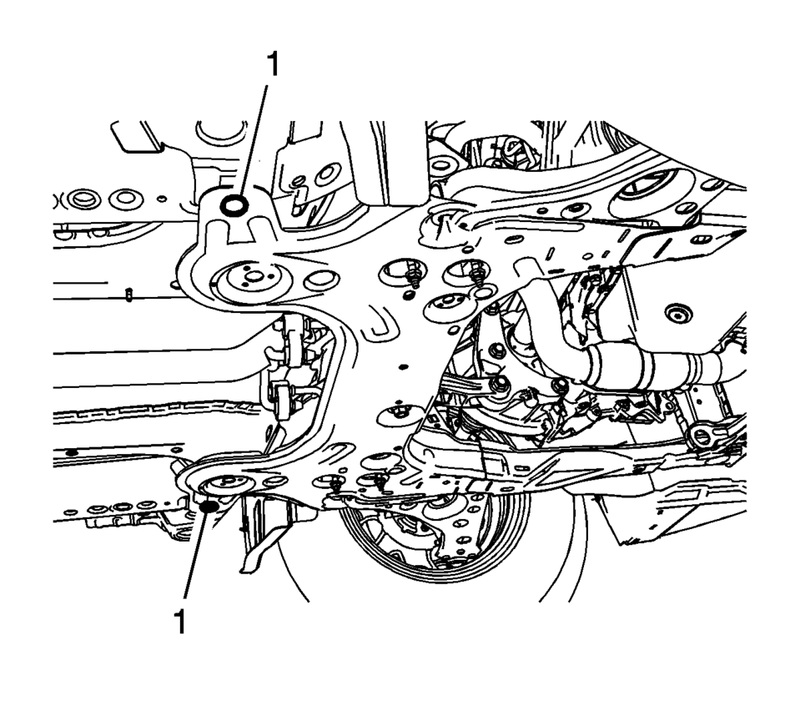 Remove the frame?€‰(3) from the vehicle. 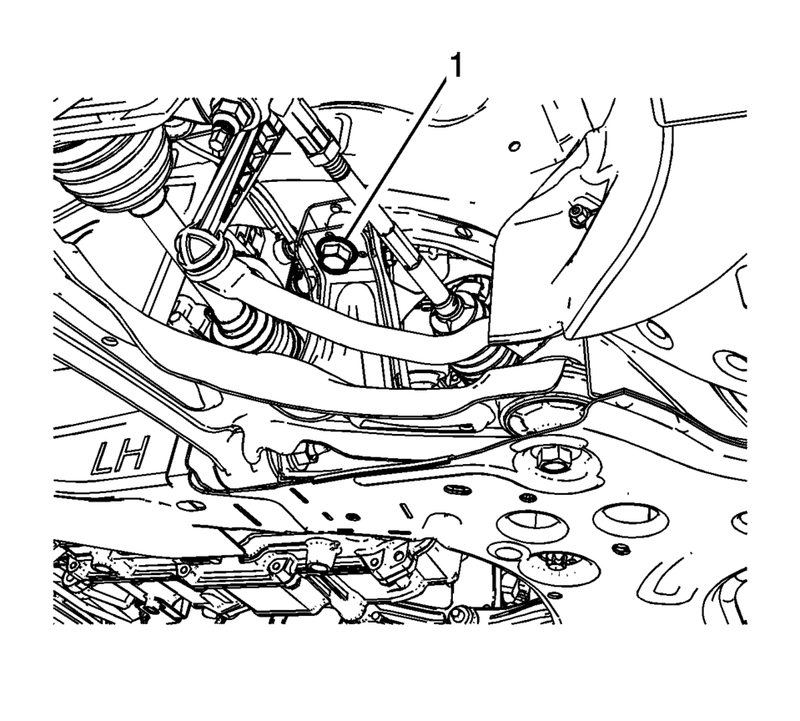 The lower control arms?€”Refer to Lower Control Arm Replacement. The stabilizer shaft?€”Refer to Stabilizer Shaft Replacement. The front bumper lower impact bar?€”Refer to Front Bumper Lower Impact Bar Replacement. The power brake booster pump, if equipped?€”Refer to Power Brake Booster Pump Replacement. Install the frame?€‰(3) into the vehicle. 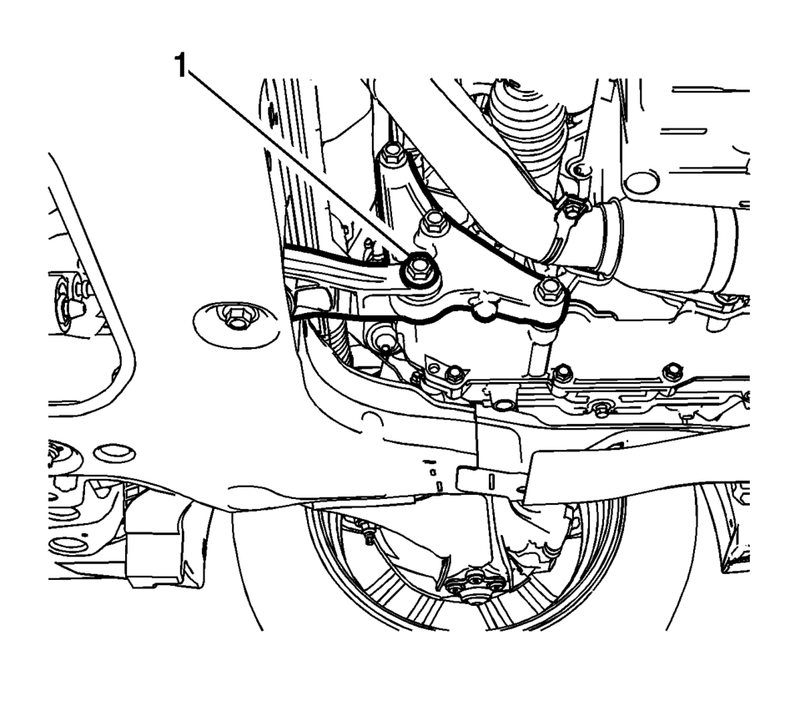 Using two suitable drifts for adjusting pins, have an assistant vertically insert and hold the drifts through the front suspension frame and floor panel?€‰(1). Install the steering gear retaining fasteners?€‰(1). 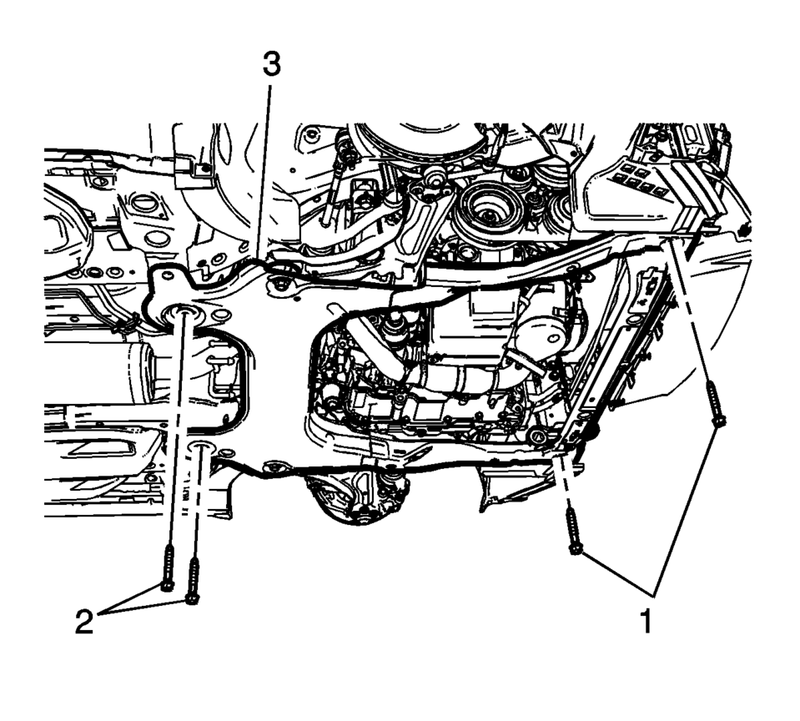 Refer to Steering Gear Replacement. Connect the exhaust isolators?€‰(2) to the front suspension frame. Install the rear transmission mount bracket to rear mount through bolt?€‰(1). 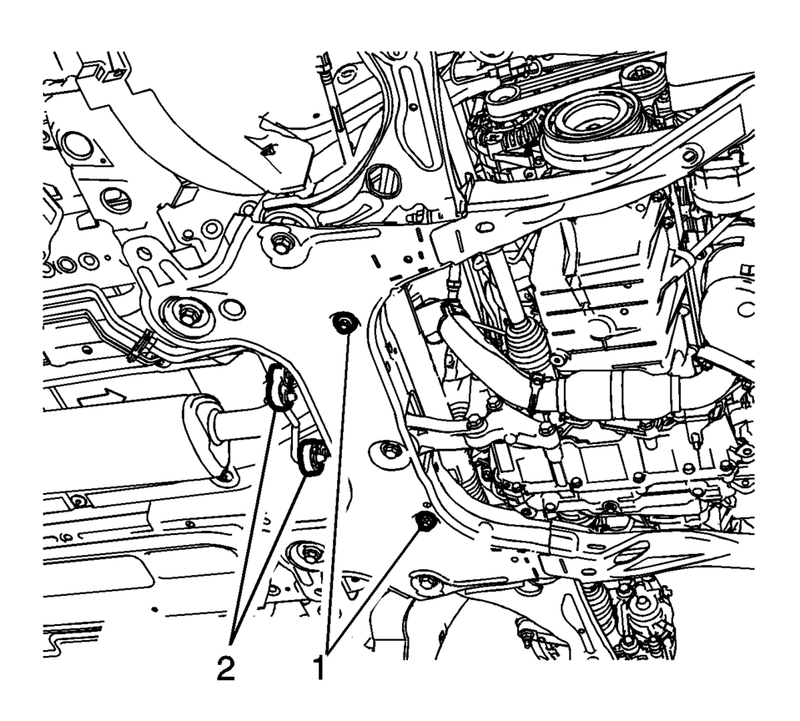 Refer to Transmission Rear Mount Replacement.